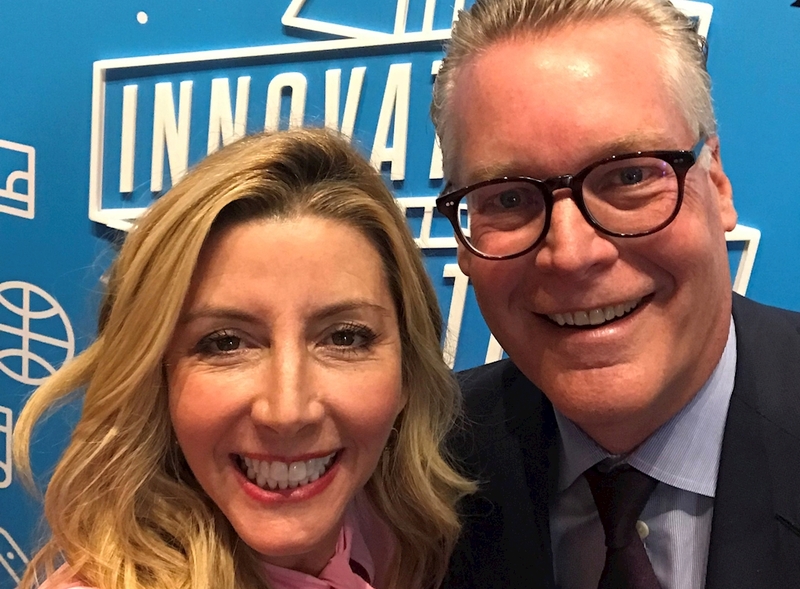 Delta CEO Ed Bastian and Sara Blakey, founder and CEO of Spanx, shared the stage Thursday in New York at the Fast Company Innovation Festival and covered a broad range of topics for the keynote session: "View from the Top: Leadership and Values in Uncertain Times." Delta and Spanx were a natural fit for the session thanks to their partnership to support Delta's Zac Posen-designed uniform launch this year. "We loved to be involved in what's underneath [Delta] uniforms," Blakely said. She added that addressing Delta's global, diverse workforce meant Spanx "obsessed about the different shades [of hosiery]" they offered to complement skin tones from around the world. Both leaders talked about how they keep a finger on the pulse of what's on the minds of customers and employees, with Bastian favoring email and flying in coach. "It's the only way I know what's happening – I never feel like I'm out of touch." Blakely said she connects through Instagram to show the "realness" of her life because it's "important to show that people who get places in their life didn't do it in the absence of fear." Bastian also talked about Delta's profit sharing program that has shared more than $1 billion in profits with employees in each of the past four years – something no other company has done. "We wanted [our employees] to be the first people to benefit from our success," he said when talking about Delta's recovery from 9/11 and economic downturns that decimated the industry. On the innovation front, Bastian outlined Delta's approach that is "centered around making our customers' and employees' lives better." He explained how a biometric terminal Delta is launching in Atlanta in December will be a faster, better experience for customers and employees. Bastian also reiterated Delta's recent news about reducing single-use plastic items in various parts of its business, and the airline's industry-leading approach to reducing carbon emissions by 50 percent. "If you're going to say you're doing a better job of unifying the world, you have to be a good steward" of the environment, he said. Members of the capacity audience tweeted their support for both leaders and their commitment to innovation, connecting with customers and running values-based businesses.